In recent years, hundreds of extremely bizarre skulls have been discovered all over the planet. 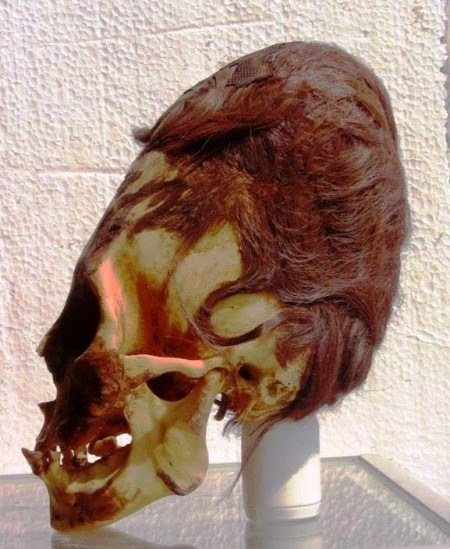 Scientific tests that have been conducted on some of them conclusively prove that these ancient elongated skulls are NOT HUMAN. Many people are not able to accept what you are about to see because it is too radical for them. But the truth is that ancient texts have been telling us about these “hybrid beings” for thousands of years. There are even some ancient Indian traditions that claim that these creatures were in North America before the Indians were. In fact, there is even one ancient Indian tradition about a war between a tribe of Indians and a race of red-haired cannibalistic giants. The Bible refers to these hybrids as “the Nephilim”, and as time goes by the evidence keeps piling up that they were very, very real. I had suspeceted that this is true.